KLM has given up rights for some starts and landings (so-called slots) at Schiphol airport to allow more competition on the New York route. The Dutch carrier said it made the move in the light of European competition regulations, complying with a ruling by the European Commission. KLM gave up the slots so that other carriers could operate on the very competitive New York route, the Telegraaf reported on Monday. 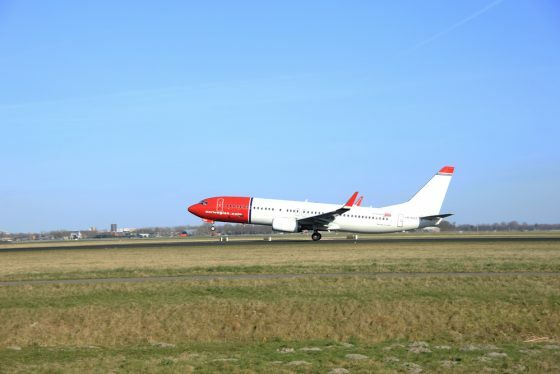 Budget carrier Norwegian Air plans to operate four flights a week between Schiphol and New York’s JFK starting on 7 May. Norwegian fares start at €199 one way, but seat reservations, baggage and meals will add another €75 to the total, the paper said. KLM charges around €400 all-in for a one-stopover flight. Non-stop flights on KLM, Delta or Air France are more expensive. In addition to Schiphol, Norwegian will also offer new routes to the US from Madrid and Milan and will soon operate 16 non-stop flights from Europe to the US.